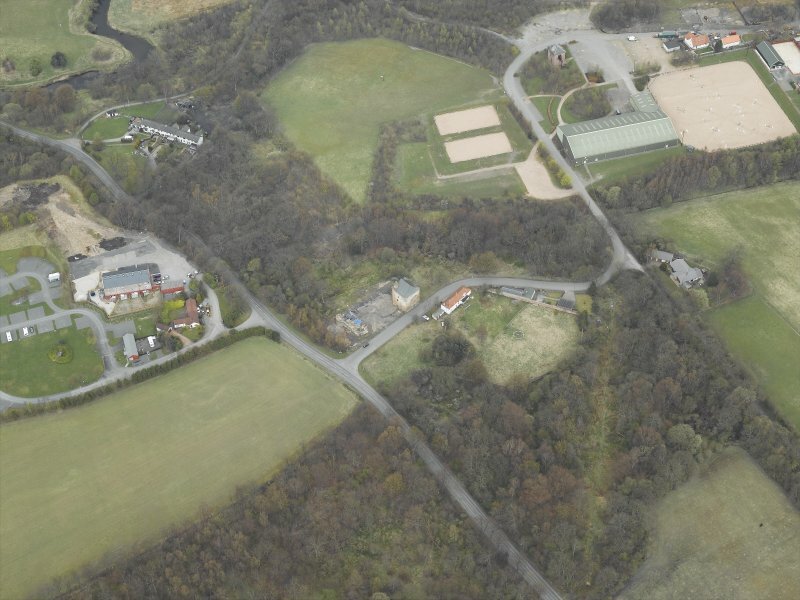 Oblique aerial view centred on the tower-house, taken from the SW. Detail of window and window seat in N wall of hall. 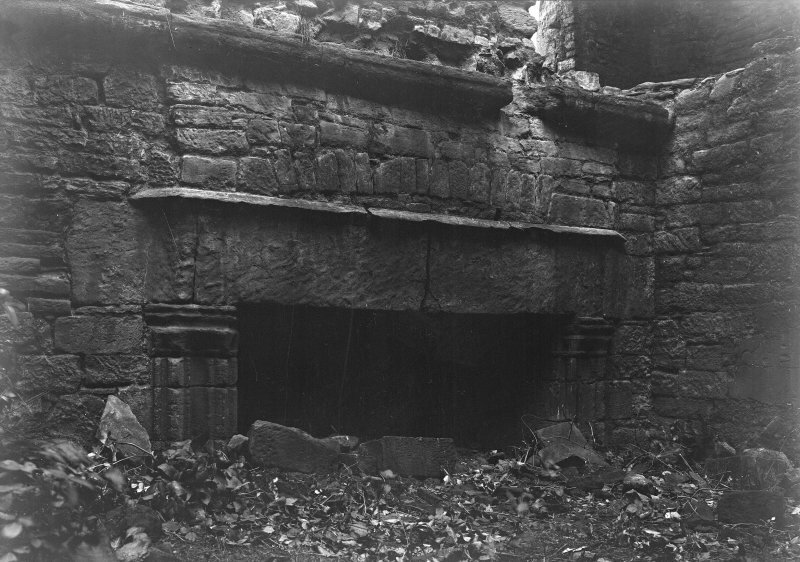 Detail of fireplace in hall. 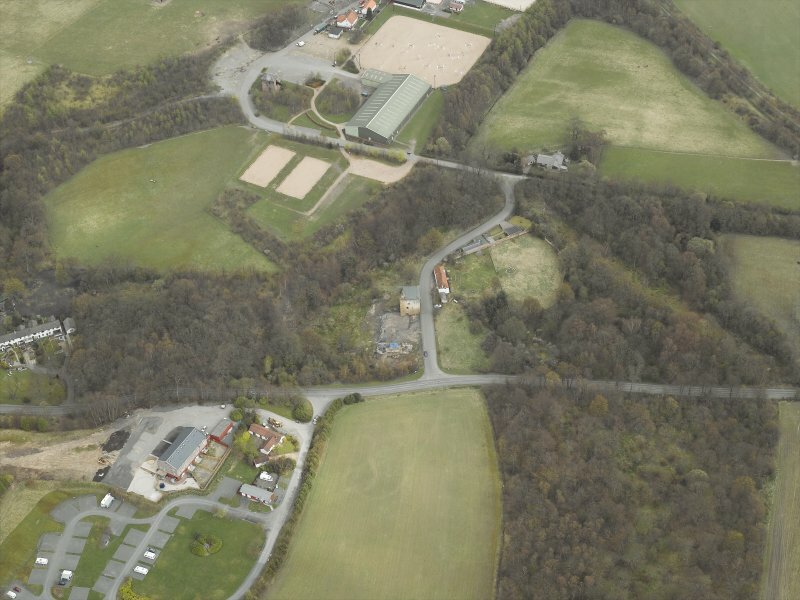 Oblique aerial view centred on the tower-house, taken from the WSW. Photographic copy of drawing showing site plan, ground floor plan, entresol plan, first floor plan and sections. 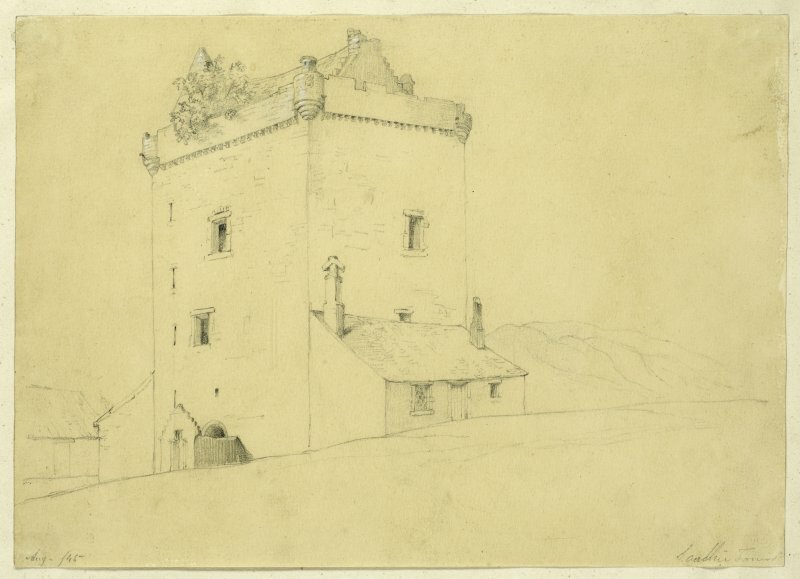 Drawing of interior of Sauchie Tower. Oblique aerial view centred on the tower-house, taken from the ENE. Oblique aerial view centred on the tower-house, taken from the WNW. (NS 8960 9572) Sauchie Tower (NR). 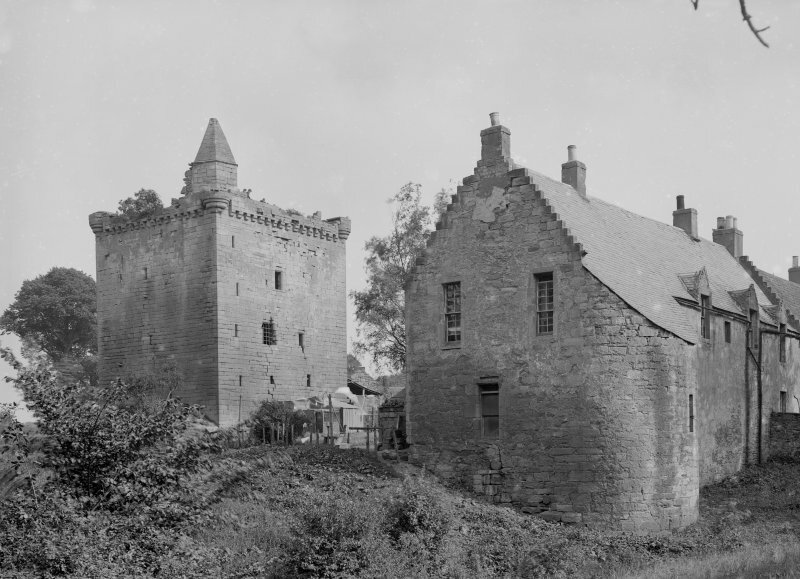 An almost square tower of 15th century construction within a ruined courtyard in which a 17th century house and later buildings have been erected. The keep, substantial and exceptionally well constructed of good ashlar, is virtually unaltered and complete except that the second and third floors have fallen in. The tower is in good condition but the interior is full of refuse and rather overgrown. The modern eastern and western extensions are no longer visible. 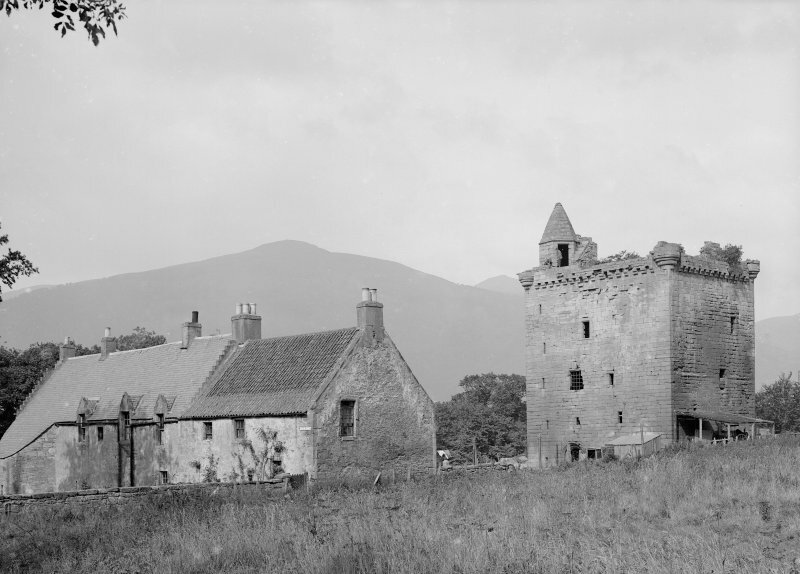 They, together with the 17th century house mentioned by RCAHMS, were demolished between 1933 and 1937. Visited by OS (FDC) 5 July 1950. Non-Guardianship Sites Plan Collection, DC28579, 1934. NS 896 957 Two exploratory trenches were dug to allow structural inspection of the tower founds in September 1999. Trench 1 (3 x 1m) against the E wall revealed the tower foundation structure against which was constructed a stone-lined drain. Finds from deposits overlying the drain suggested that, if original, it had been reconditioned in the 18th century. The drain apparently connected to a system revealed on the N side of the tower in excavations in 1985. 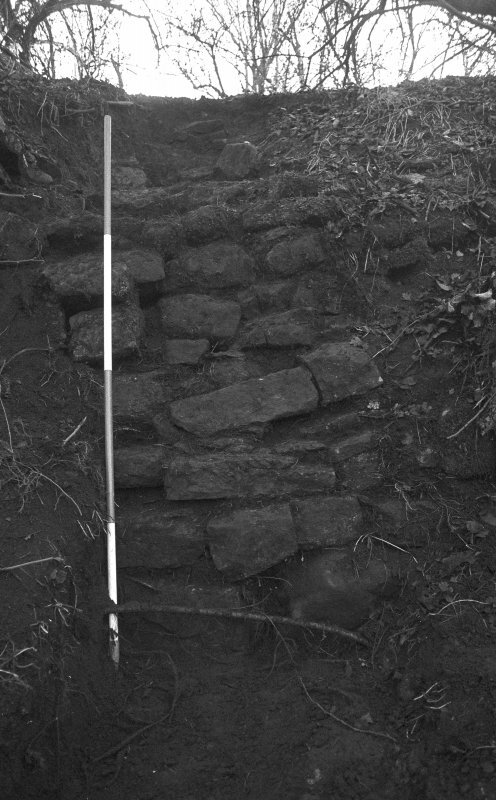 Trench 2 (1 x 3m) against the N wall foot of the tower revealed a succession of surfaces and structural remains associated with 18th and 19th-century lean-to structures built against the tower wall. These overlay a well-preserved cobbled surface, also identified further E in 1985, that can perhaps be ascribed to the 16th or 17th century. An assessment of the evidence of the original roof form of the tower was made during conservation work in July 2000. 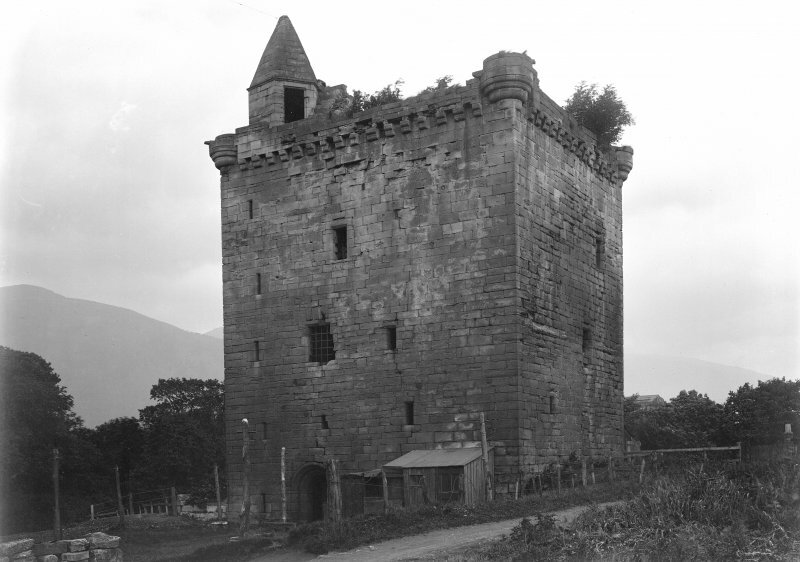 Sauchie Tower, the ultimate intention being to consolidate and interpret the site, repair the tower and make it publicly accessible. Following clearance of extensive undergrowth, topographic survey was extended over the core area of the site and beyond to the W, N and E. This clearly recorded the defensive ditch running along the W side of the ruins, and the extent of an artificial terraced platform along the N side of the site. 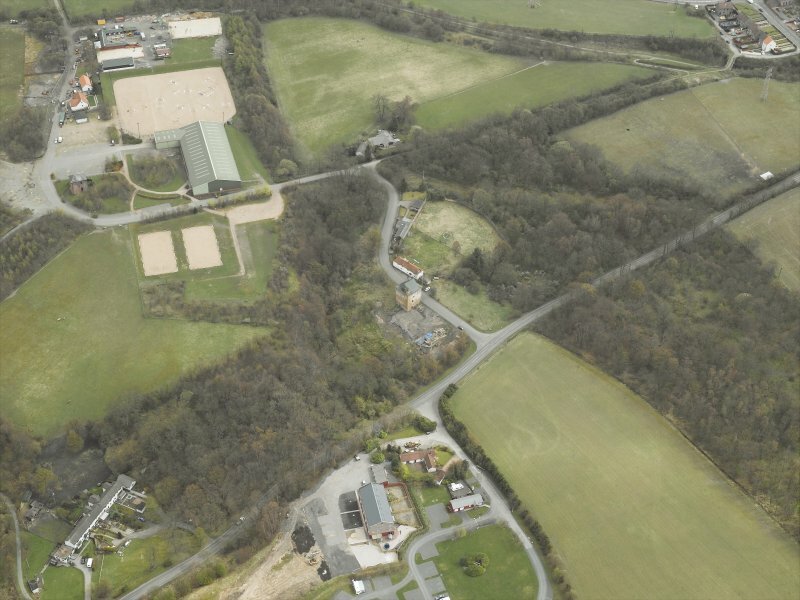 Six evaluation trenches were located across the site in order to determine archaeologically significant levels. 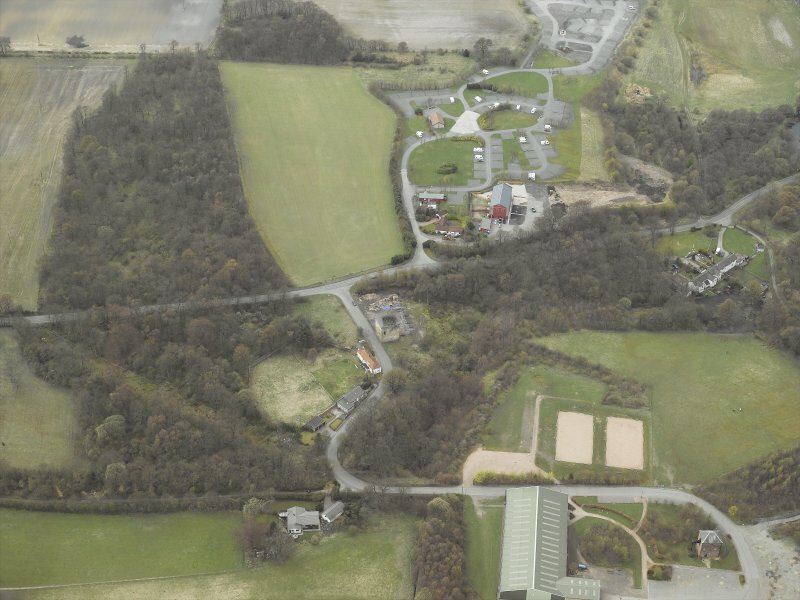 General excavation encompassed the area along the N side of the tower, extending westwards to Old Sauchie House (NS89NE 120), and southwards (along the W side of Sauchie Tower; NS89NE 1). The S chamber and much of the N chamber of the N-S aligned Old Sauchie House were cleared of collapse (demolition debris of c 1930) down to floor level. The standing walls of the ruined structure were also cleaned and the whole recorded. In the latter stages of excavation a number of individual sondages were excavated to address specific questions; these included more major trenches - to further define the N boundary of the defended site, and to examine the defensive ditch and the junction of the W wall of Old Sauchie House with a round tower at its NW corner. evidently formed the N side of a courtyarded enclosure. 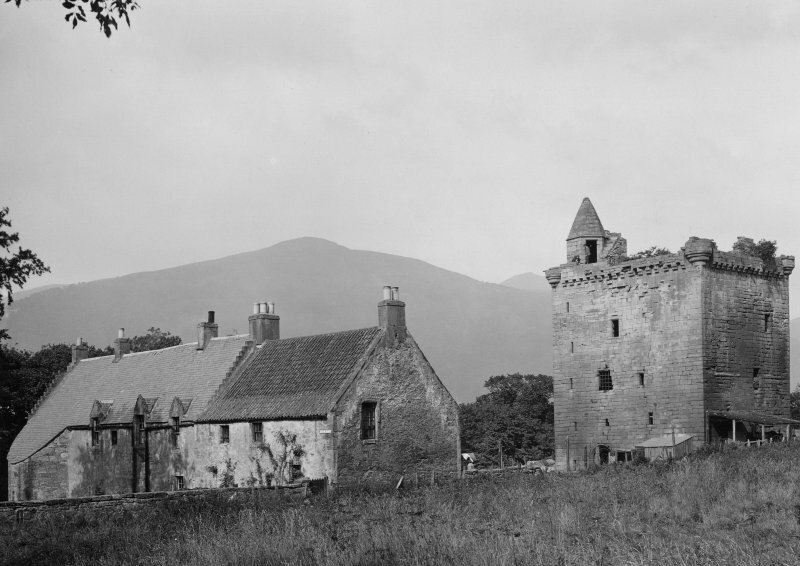 From W to E this contained a probable chamber (now mostly subsumed by the later Old Sauchie House), a great hall (opposed to the laird's hall within the tower), a kitchen and a probable bakehouse, the latter immediately N of the tower. The hall was defined to the E and W by the remains of internal cross-walls. Its high end to the W had been impacted by numerous later constructions and services, and remains to be excavated more fully. Further E, the impressions of a finely laid polished sandstone floor were revealed throughout, with occasional areas of actual paving in situ. Central to the hall area was a probable open hearth. To the SE the threshold survived of an entrance off the courtyard; this led to an angled step down to the interior. There were indications that there had been a N-S screen at the E end of the hall - post-holes corresponding to a change in the layout of the paving. 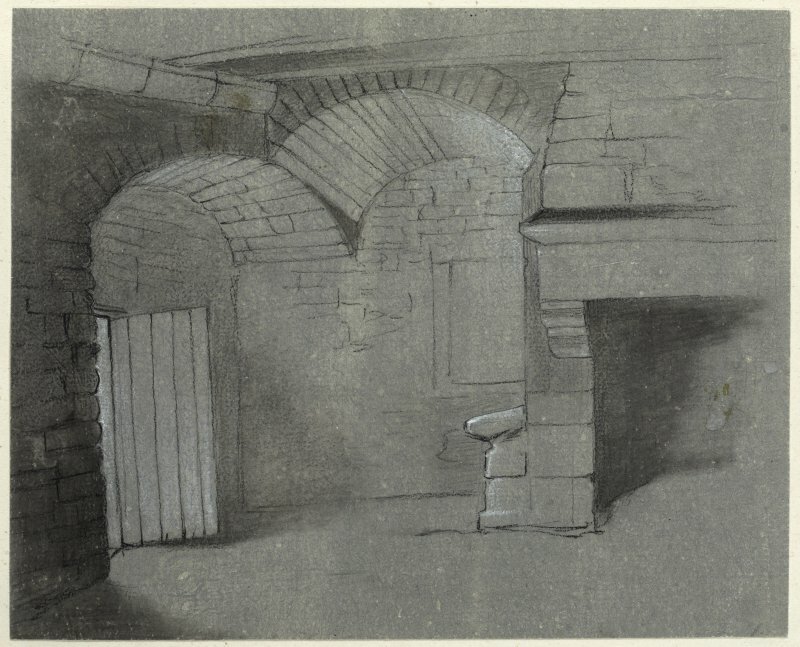 The kitchen at the E end of the hall was identified on the basis of a single remaining jamb of a very broad arched fireplace in the W wall, and the extensive scorching of the paved area within. The kitchen was entered off the courtyard from the SW, where a threshold remained. A presumed entrance between the kitchen and the low end of the hall no longer survived. On the N side of the tower, the range was found to have extended further eastwards beyond the limit of excavation. Within the excavated area, the rectangular masonry base of a probable bake-oven was exposed (partly overlain by a circular successor). 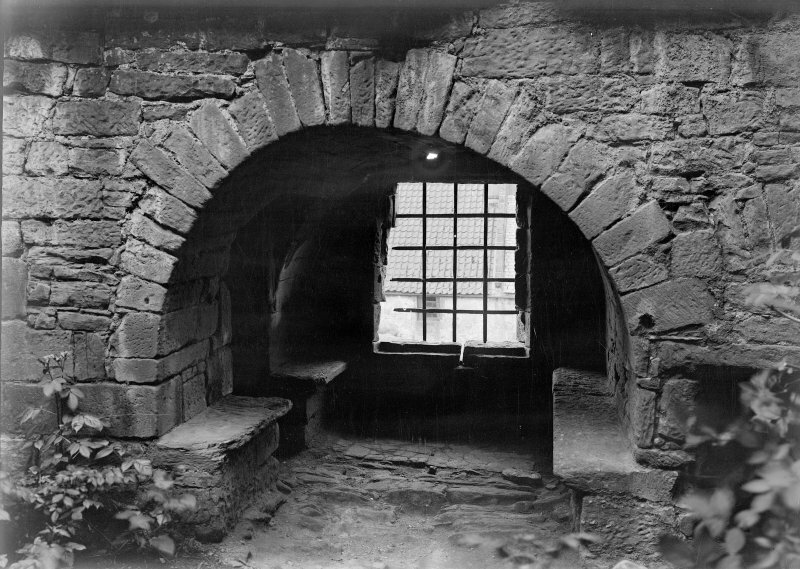 To the S of the hall range a large area of courtyard cobbling was exposed; this incorporated a system of open drains that extended to the NE, into a small cobbled court between the bakehouse and the tower. that a further ditch may bound the site in that direction. It is possible that the original entrance to the enclosure lay to the W.
Alterations to the defensive enclosure wall included the insertion of dumb-bell gun-loops into the W perimeter wall, and the addition of the NW angle tower at the same time. The latter had a projecting plinth and was provided with similar loops of slightly smaller size (suggesting lesser guns to provide raking fire along the W frontage). These details indicate a date towards the end of the 15th century. Later 16th century. 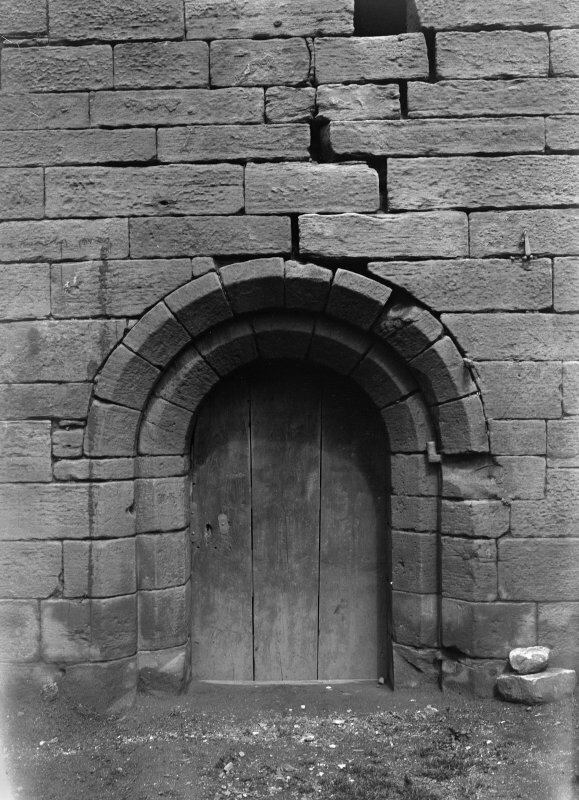 A probable later 16th-century alteration was the erection of a 'baffle' wall at the NE corner of the cobbled courtyard to screen the entrances to the kitchen and bakehouse areas. courtyard frontage that is offset to the S within the elevation; this provides evidence that the hall range remained standing at the time of its erection. In the original kitchen area, the fireplace arch to the W was dismantled and a masonry-lined sunken-floored structure erected. This had seen subsequent re-use and its original function remains unclear. An extensive demolition deposit overlay the remains of the hall, courtyard and structures on the N side of the tower. Bottle glass, tobacco pipes, tin-glazed earthenwares and late lead-glazed greywares suggest that demolition had occurred at the beginning of the 18th century. elevated prospect over the lower garden terrace and N to the Ochil Hills. 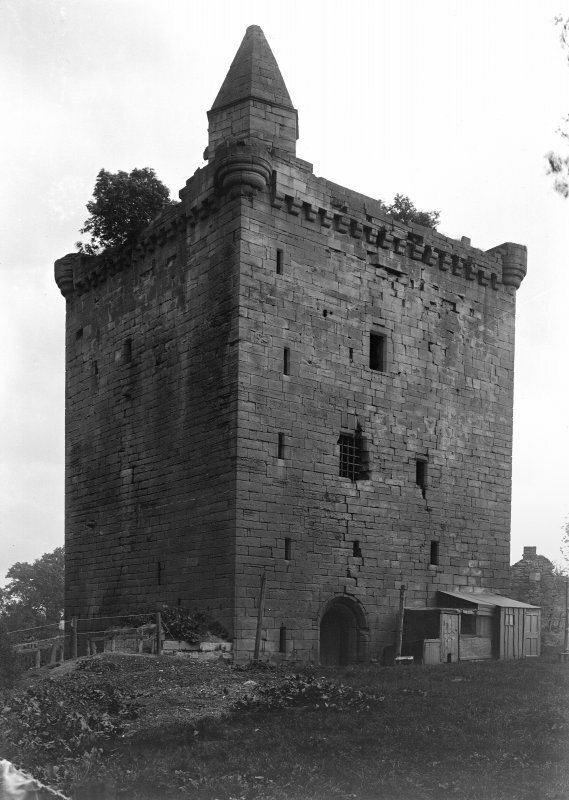 A stables or byre was erected against the N wall of Sauchie Tower, and it is possible that at about this time a porch was added to the W entrance of the tower. Later 18th and 19th centuries. Tower itself. Numerous minor structures and services recorded within the courtyard area date to this time. A small masonry lean-to structure was erected against the NW corner of the tower; this was found to incorporate numerous curved dressed stones deriving from the tower bartizans. 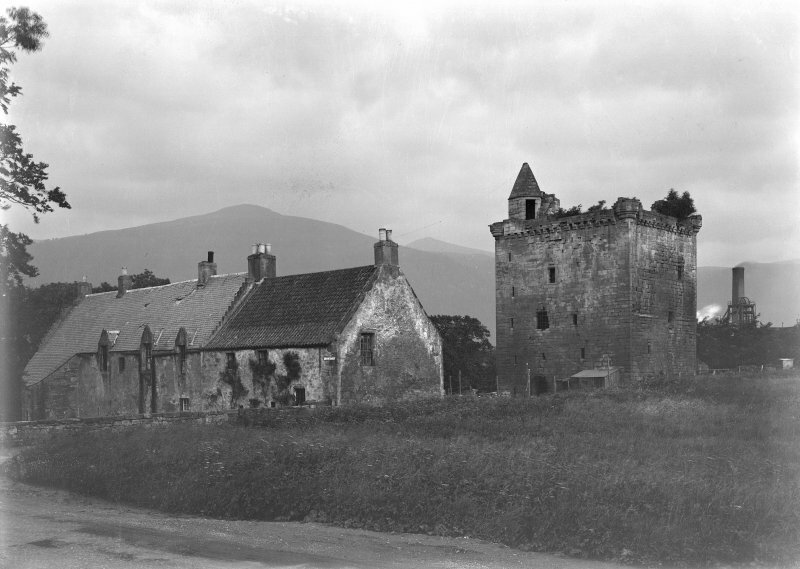 The site was finally abandoned following purchase by the Coal Board in c 1930, and Old Sauchie House was largely demolished shortly thereafter. Sponsors: HLF, Clackmannanshire Heritage Trust.